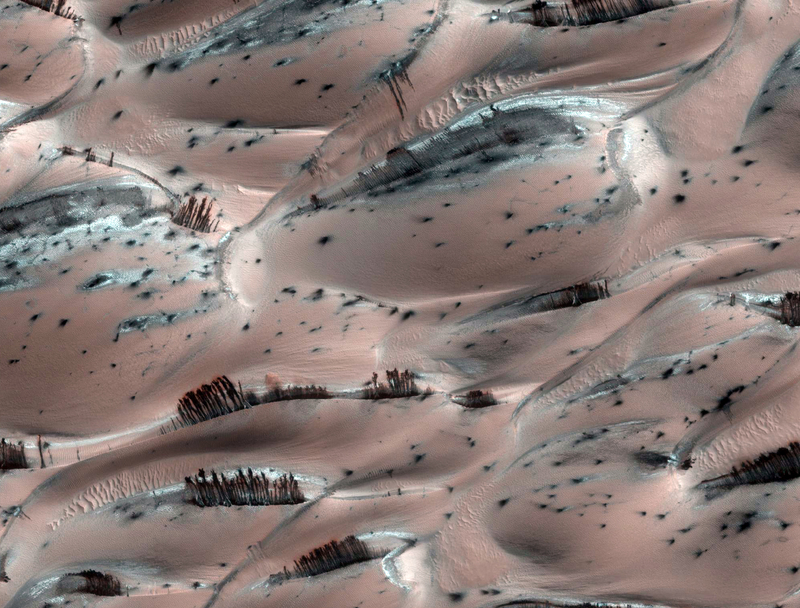 There is a vast region of sand dunes at high northern latitudes on Mars. 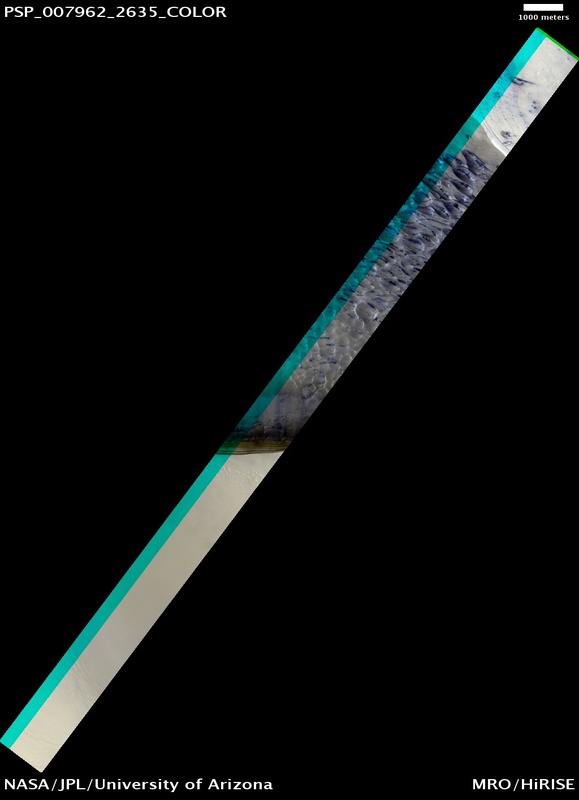 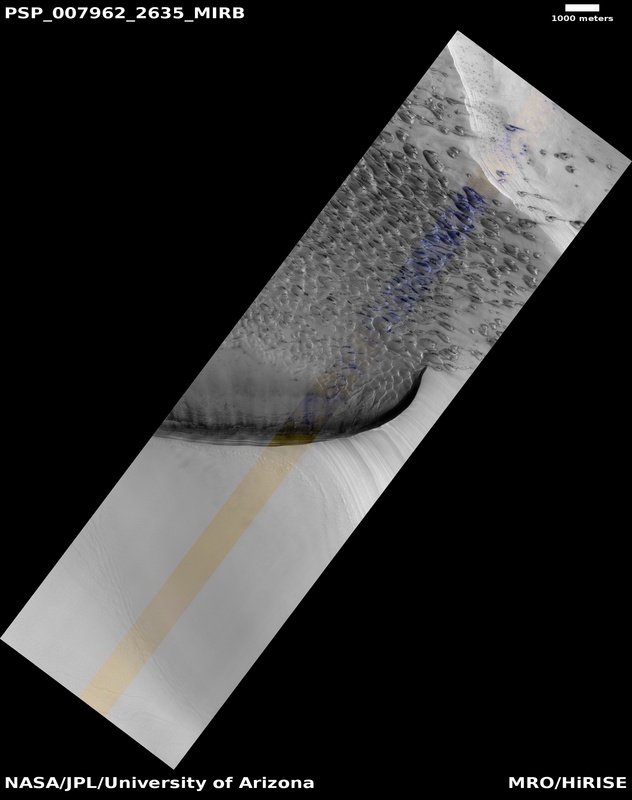 In the winter, a layer of carbon dioxide ice covers the dunes, and in the spring as the sun warms the ice it evaporates. 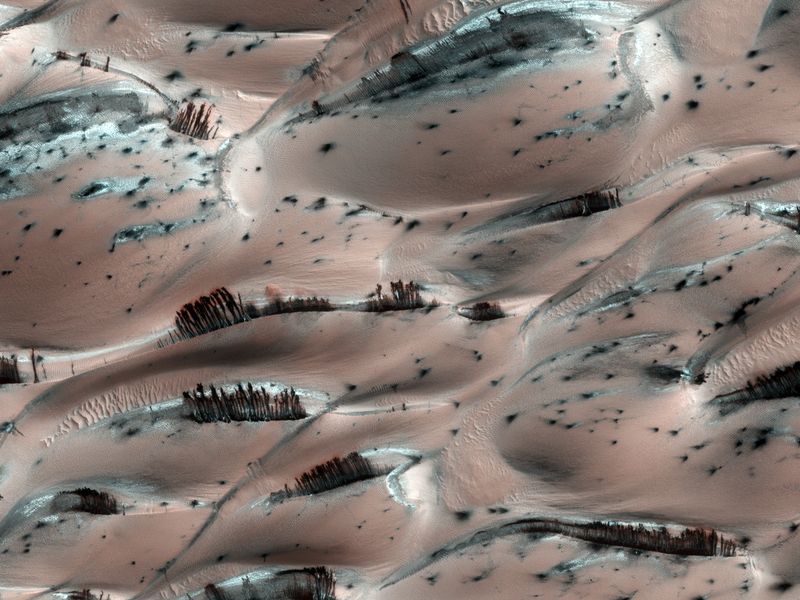 This is a very active process, and sand dislodged from the crests of the dunes cascades down, forming dark streaks. 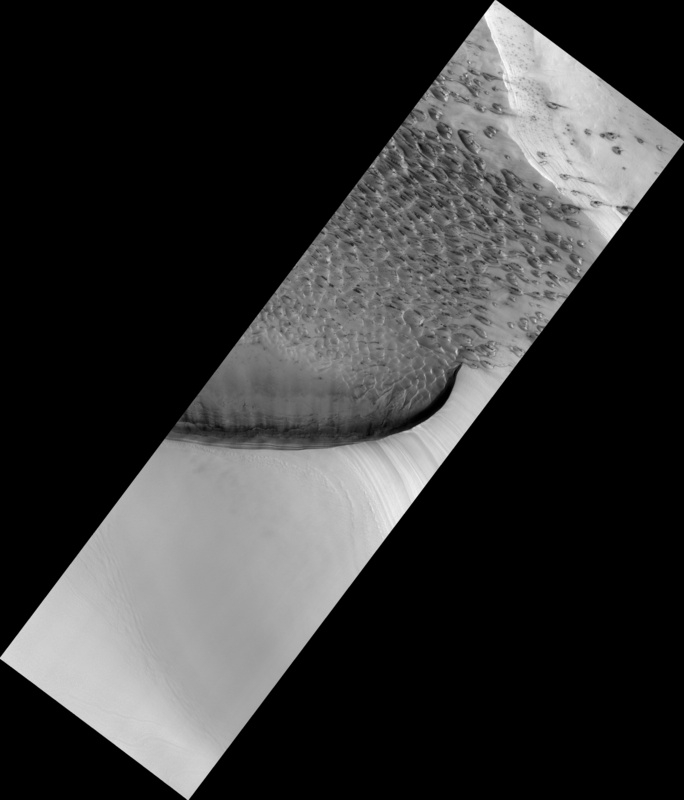 Also discernible in this subimage are polygonal cracks in the ice on the dunes (the cracks disappear when the ice is gone).